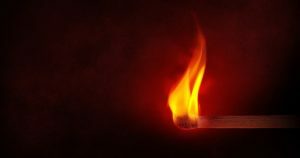 Yarmouth, MA (July 9, 2018) – A tractor fire occurred on Sunday in Yarmouth, Massachusetts, causing injuries to the driver and delays for local motorists. Police received the call around 10:00 pm regarding a fire near exits 8 and 9 along Route 6. A response to the scene came quickly. Upon arrival, officers discovered a tractor that had caught fire. The operator of the tractor suffered burns from the fire and was evaluated on scene by an EMS unit. The extent of the burns are not known. The Dennis Fire Department also responded to the scene and provided assistance with extinguishing the blaze. There were no other cars or passengers involved in this crash. Route 6 was closed down for a period of time as crews worked to make the roadway safe for passing traffic. The Massachusetts State Police are investigating the fire and its cause. The investigation is still ongoing at this time and no other details have been released. Vehicle malfunctions can occur for a variety of reasons. Sometimes, they occur because of a defect within the vehicle itself. This is something that is under the control of the manufacturer such as a defective part or an unsafe vehicle design which leads to injuries in the vehicle user. Other times, the defect can come from an improper repair at a body shop. In these cases, negligence on the part of an auto mechanic can lead to injuries. Still, in other cases, the vehicle owner goes against a safety warning or uses the vehicle improperly which causes the malfunction to occur. In these cases, responsibility lies with the user. In this fire, we will have to wait and see a determination as to the official cause. If there is a defect within the tractor itself, the driver may have a claim for personal injuries caused by product liability. In Massachusetts, a user who is injured by a product can make a claim against the manufacturer for personal injuries caused by the product. At the Law Offices of Jeffrey S. Glassman, our team has years of experience in product liability claims. We have successfully settled numerous product liability cases. For a free consultation with one of our attorneys, please call us today at 67-367-2900.